Buy Any item get a second Free! 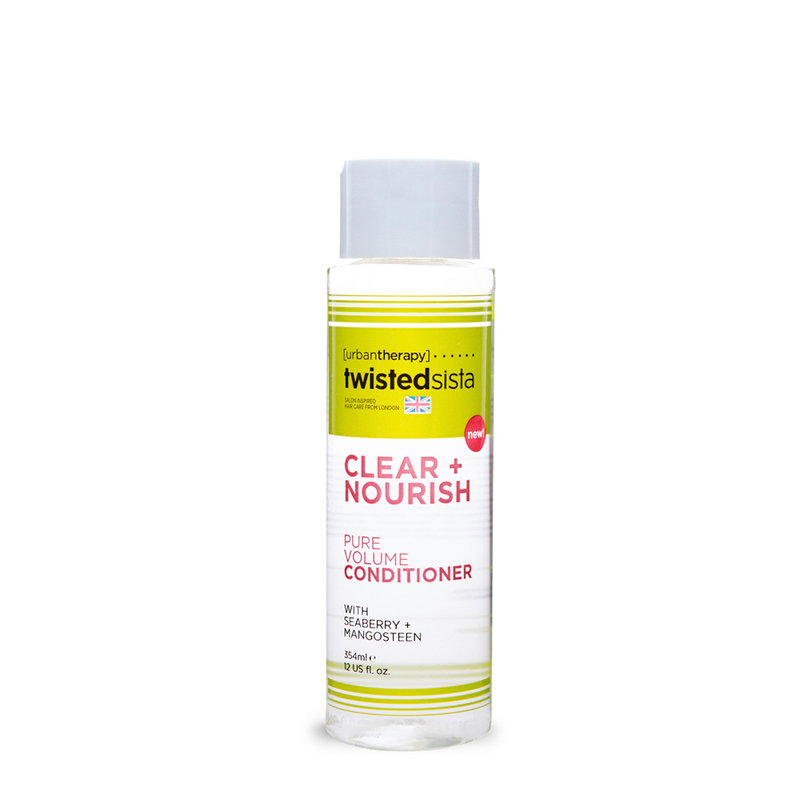 Twisted Sista Clear + Nourish is a new kind of therapy with pure, natural, simple ingredients such as Green Tea, Seaberry and Mangosteen, which nourishes hair and scalp for luminous healthy looking results. Green Tea is the ultimate cleansing anitioxidant. BENEFITS: Stimulate hair growth and soften the hair. It contains vitamin E and vitamin C, which are known to boost lustrous hair. A cleansing antioxidant to ease scalp and hair of residue build up due to environmental stresses. The shampoo is soothing, invigorating and soft. Formulated to provide strength to embrace fullness and volume to turn thin wavy hair into healthy bouncy hair. Specifically formulated for thicker hair types, this conditioner helps to seal in moisture preventing future drying or split ends. HYDRATION SHAPE & STYLE MOUSSE 7.5oz. A soft and lightweight styling mouse to penetrate hair strands forming hairs natural style whether you choose wavy, curly or straight. The finishing touch to any style, add luminous shine while keeping frizz in control. Give curls energy, form and definition. Receive moisture, control the frizz and enjoy long lasting shine.